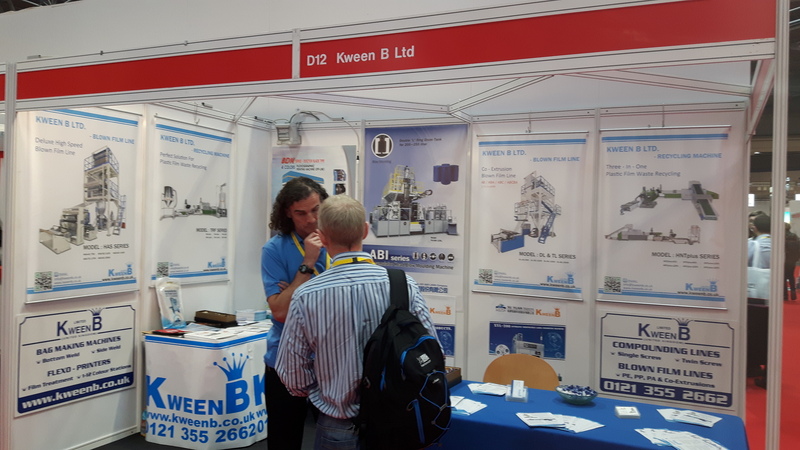 Kween B Ltd successfully exhibited at Interplas 2017, which is the largest plastics exhibition in the UK. We would like to thank our many clients who took the time out to come and say hello, as well as the many new faces who found out a little more about us and what products we can offer them. 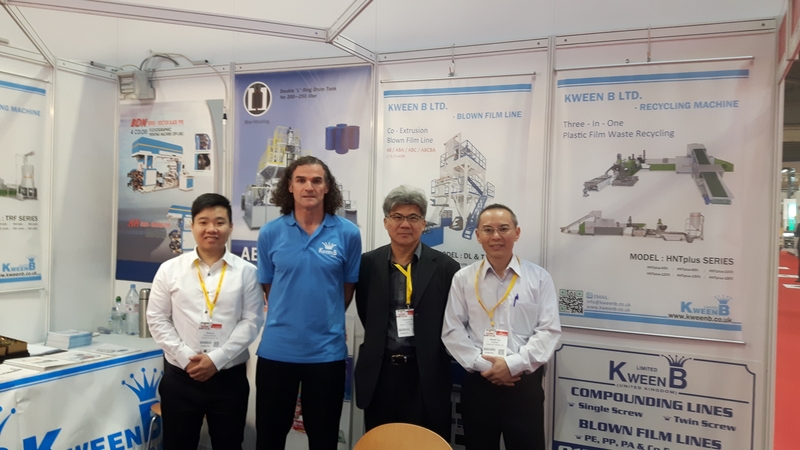 We were expertly represented by our UK sales team as well as three management and development members from our Taiwan office who were able to give their expert advice as well as continually learn more about the UK and European market. If you would like to receive our current Monthly NewsLetter regarding different machinery lines then please email or call us to be added onto the mailing list. We are always being contacted by customers looking to buy and sell Kween B machines. If you are interested in purchasing or selling then please get in touch so we can assist with your enquiry. UK households produced 30.5 million tonnes of waste in 2003/04, of which 17% was collected for recycling (source: defra.gov.uk). This figure is quite low compared to some neighbouring EU countries, some recycling over 50% of their waste. There is still a great deal of waste which could be recycled that ends up in landfill sites which is harmful to the environment. •	1 recycled plastic bottle would save enough energy to power a 60-watt light bulb for 3 hours. •	1 recycled tin can would save enough energy to power a television for 3 hours. •	1 recycled glass bottle would save enough energy to power a computer for 25 minutes. •	70% less energy is required to recycle paper compared with making it from raw materials. •	Up to 60% of the rubbish that ends up in the dustbin could be recycled. •	The unreleased energy contained in the average dustbin each year could power a television for 5,000 hours. •	The largest lake in the Britain could be filled with rubbish from the UK in 8 months. •	On average, 16% of the money you spend on a product pays for the packaging, which ultimately ends up as rubbish. •	As much as 50% of waste in the average dustbin could be composted. •	Up to 80% of a vehicle can be recycled. •	9 out of 10 people would recycle more if it were made easier. •	275,000 tonnes of plastic are used each year in the UK, that’s about 15 million bottles per day. •	Most families throw away about 40kg of plastic per year, which could otherwise be recycled. •	The use of plastic in Western Europe is growing about 4% each year. •	Plastic can take up to 500 years to decompose. April 2017 – Kween B Ltd produces a montly Newsletter which discusses information on a particular product that we manufacture. Should you wish to be included in the mailing list then please email info@kweenb.co.uk and ask to be added to the mailing list. Water bottles, soft and fizzy drink bottles, pots, tubs, oven ready trays, jam jars. Window frames, drainage pipe, water service pipe, medical devices, blood storage bags, cable and wire insulation, resilient flooring, roofing membranes, stationery, automotive interiors and seat coverings, fashion and footwear, packaging, cling film, credit cards, synthetic leather and other coated fabrics. Other – other types of plastics.